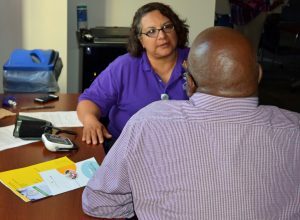 Toledo/Lucas County CareNet employs community health workers (CHWs), who are advocates for residents and groups in the community. CHWs help residents with breast cancer, diabetes, high blood pressure, other chronic conditions or who are pregnant get connected to needed medical care and social services. This web page helps explain more. If you have any non-pregnant patients, who are on Medicaid or uninsured and could benefit from one-on-one assistance from a CHW, please fill out the community health worker referral form. CareNet’s CHWs work through the Northwest Ohio Pathways HUB, a community-wide care coordination system. 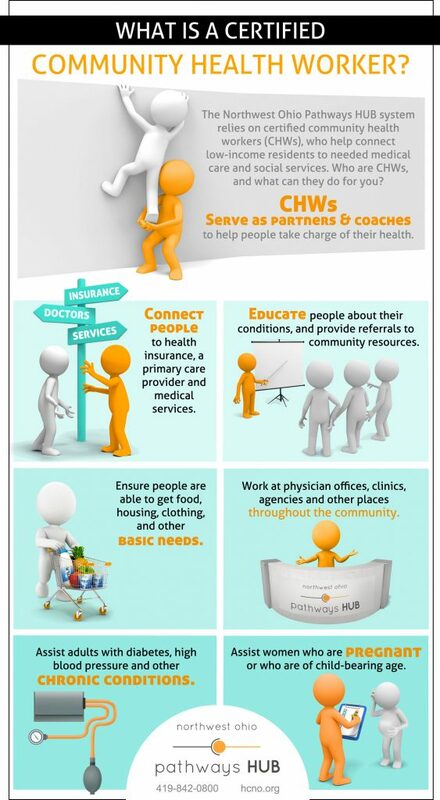 The infographic below helps explains how the system’s CHWs provide assistance.